The Allied Telesis AT-GS950/10PS Gigabit Ethernet WebSmart switch features two Gigabit ports, two SF..
Control and Configure Beyond Plug-N-Play Connectivity Today’s growing businesses demand and rely mor.. 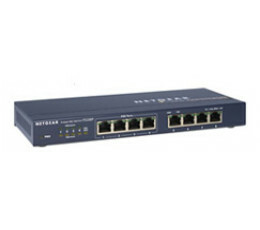 The NETGEAR SOHO Ethernet Unmanaged Switches provide easy and affordable network connectivity to sma..
Switches with Essential L2 Features for SMB Networks NETGEAR Smart Managed Switches offer powerful L..
Take Gigabit to the Desktop NETGEAR’s JGS500 Gigabit Switch Series gives your office network a megab.. Modestly priced, the FS108P is ideal for a small business that wishes to inexpensively use Power ove..
As a leading provider of network equipment for SMBs, NETGEAR® understands the importance of reliable..
Connect and network up to 8 Ethernet devices through a single 10/100 Mbps desktop switchThe DS81072 .. 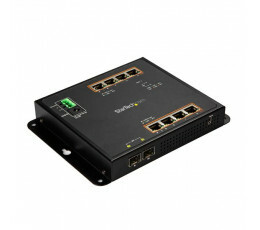 Easily deploy or scale your network with this Gigabit Ethernet switch, by adding eight copper Gigabi.. This USB-C™ to USB-B cable lets you connect your USB 3.0 peripheral devices, such as a printer, exte..